A new research center that will focus on the legacy of the very first Peking Opera educational troupe was opened in Beijing on Friday. The Research Institute of the Fu Lian Cheng Troupe was established under the Beijing Foreign Studies University, with the stated mission of exploring the artistic essence of the legendary Peking Opera troupe. Tan Yuanshou, at age 90, once a student from Fu Lian Cheng and now a famous Peking Opera master, was invited by the university to be the honorable director of the institute. Speaking at the institute’s opening ceremony held in the university, Tan said that he hopes new generation of Peking Opera performers may carry on the work ethic and spirit of the art form. Professor Sun Ping, a female Peking Opera master and dean of the Art Research School of the university, was appointed as the executive director of the institute. The Fu Lian Cheng Troupe is deemed as the first Peking Opera school in history, set up in 1904 by Peking Opera educator and performing master Ye Chunshan. The troupe carried on for 44 years and nurtured 700 students, including Lei Xifu and Tan Fuying, many of whom became master artists and educators. Even Mei Lanfang, the most renowned Peking Opera master, took some lessons and practiced his routines with the Fu Lian Cheng Troupe. 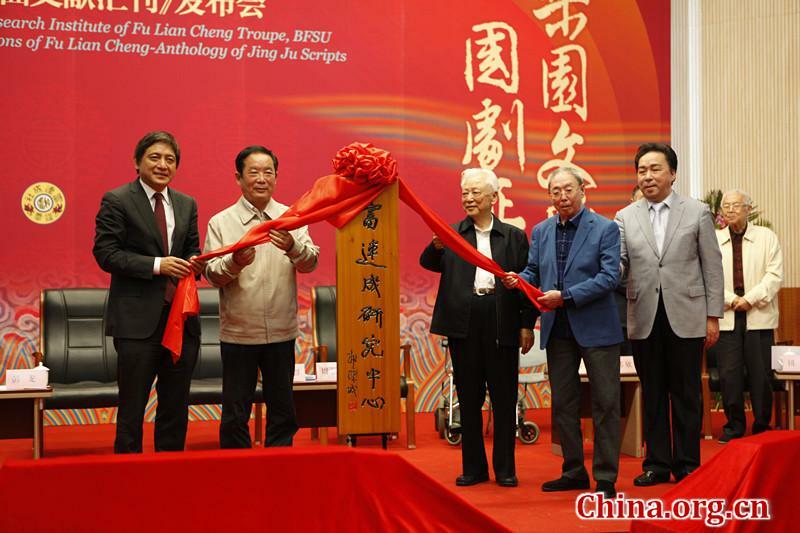 A new research center was inaugurated in Beijing on Friday to explore the legacy of the first Peking Opera troupe.